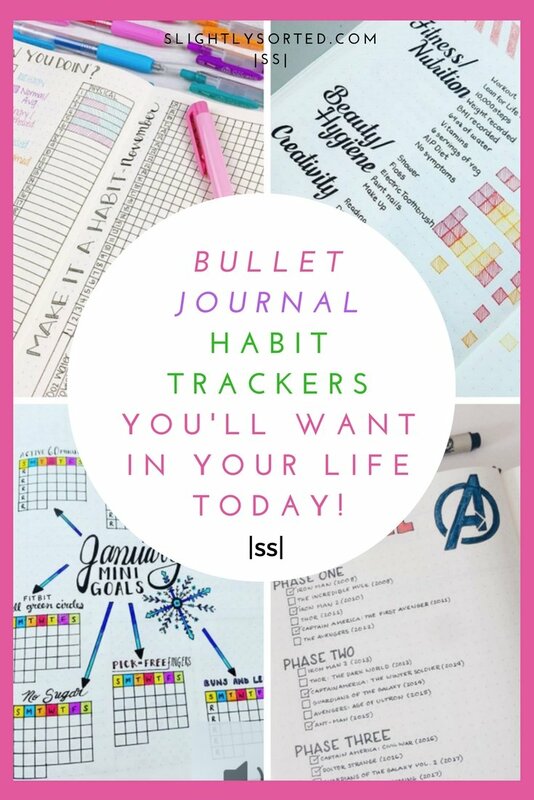 Do you use trackers in your bullet journal? If not, you could be missing out on a fantastic way to make small (or even big!) improvements in your day-to-day life! 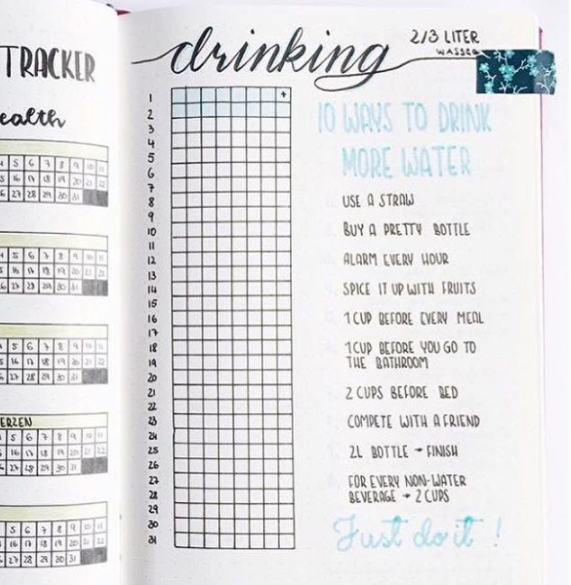 Trackers (or ‘habit trackers’) offer a way for you to log every little step towards success – whether that success happens to be drinking eight glasses of water every day, getting your degree, training for a 5k run, or a thousand other things in between! 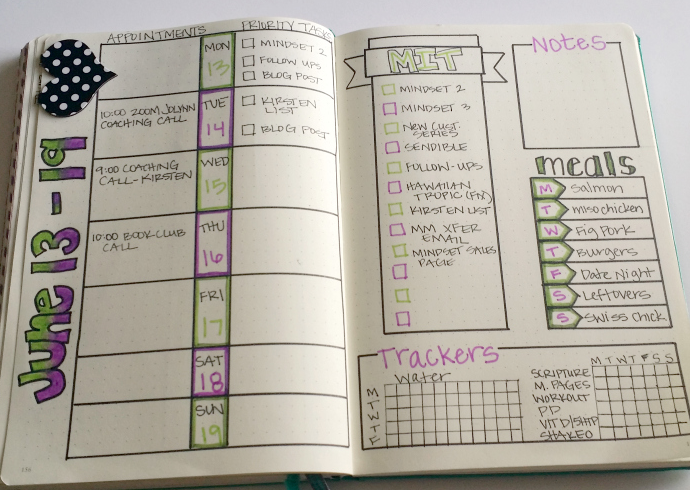 Trackers can be used in daily spreads, weekly spreads, or as stand-alone pages in your bullet journal. And you don’t have to use them just for your goals either, there are tons of things you might want to track just for fun! 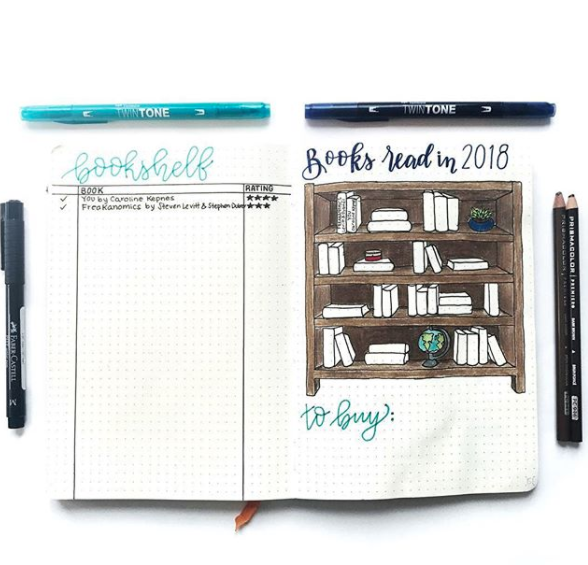 There’s no shortage of bullet journal tracker ideas out there, and once you get started it’s easy to adapt them to meet your own needs. The easiest way to explain how they work is to show you! 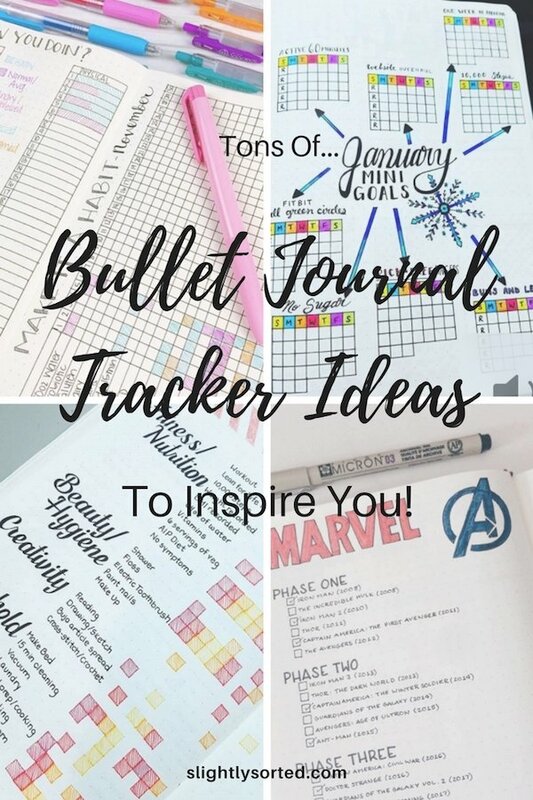 So with that in mind, here’s a little round-up of some of my favorite bullet journal tracker ideas to get you started. P.S. No idea what this bullet journal thing is all about? Check out my posts for beginners! 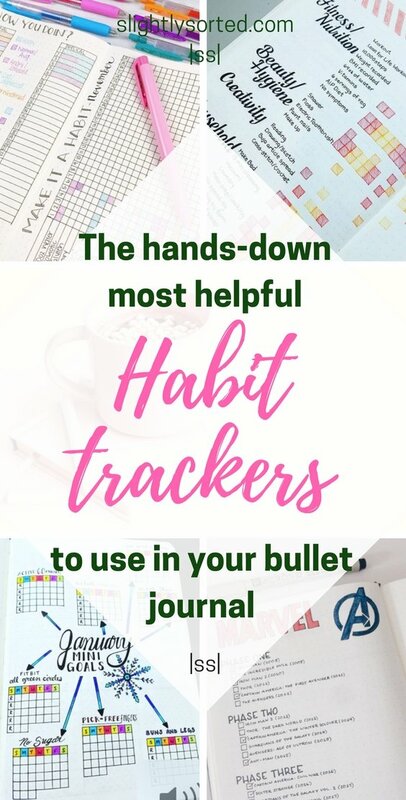 And you can find even more bullet journal tracker ideas in my posts on bullet journal hacks, bullet journal weekly spreads, bullet journal collection ideas and using your bullet journal to improve your health! 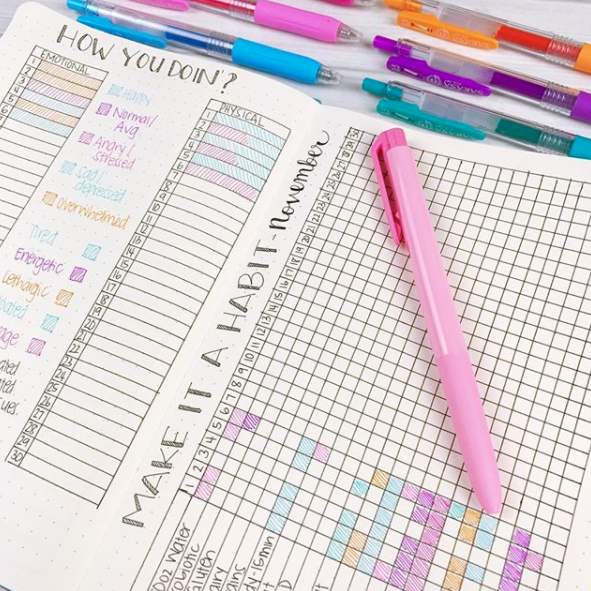 Let’s get started with one of the most simple but effective of all bullet journal tracker ideas, the multiple monthly tracker – this one’s by Shelby at Little Coffee Fox. 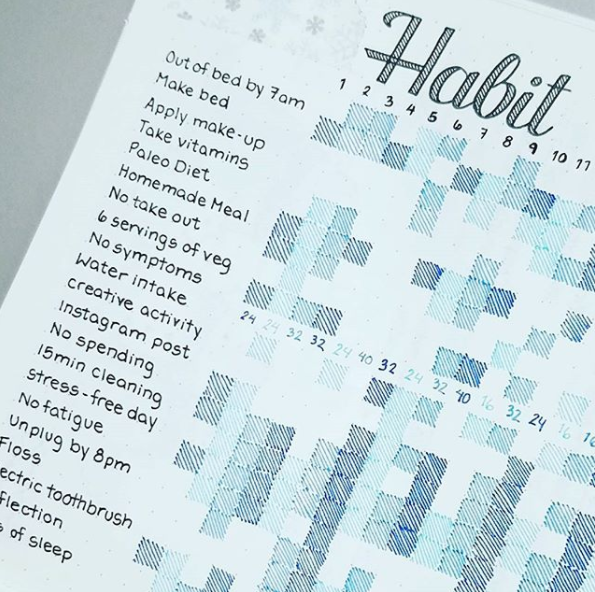 As you can see, she’s used a grid format to map out every day of the month against a series of habits she wants to achieve. Each time she completes one, she simply colors in the corresponding square for that habit and date. This is a fantastic way to keep track of all the little things you can achieve on a daily basis. We often forget to give ourselves credit for these types of things, but often it’s the tiny changes we make to our day-to-day lives that end up having the greatest impact. 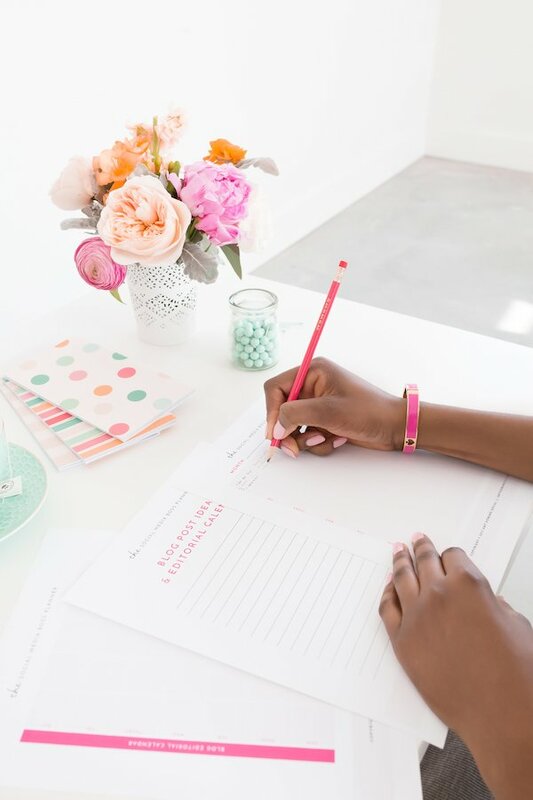 Filling in a tracker like this keeps you mindful of these little tasks, and helps you to feel positive about your daily achievements. Plus, you have everything laid out on one page, so there’s no flipping back and forth – just fill in one page at the end of the day, and job done. This particular example uses a Leuchtturm 1917 (the dots mean it’s easy to mark out squares), and Staedtler Triplus Fineliners for coloring in. Here are two really nice similar ones by craftyenginerd on Instagram. Fancy Monthly Multiple Habit Tracker! 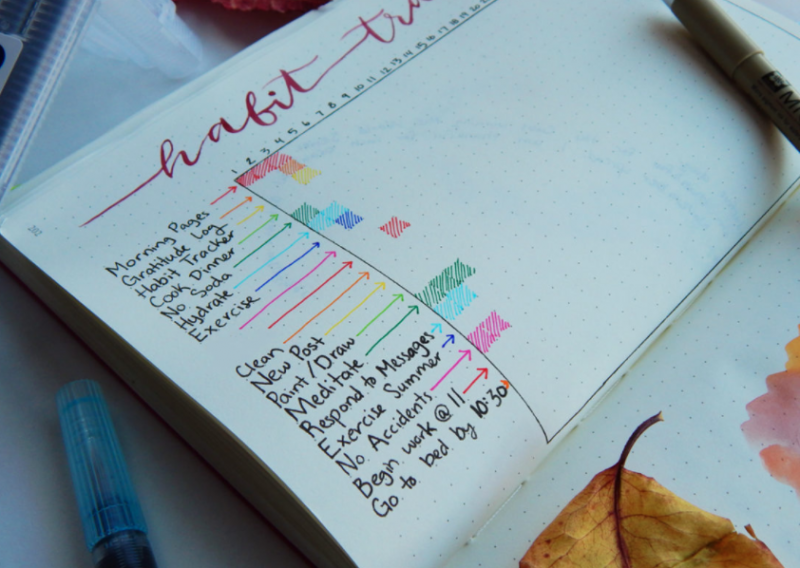 Here’s an interesting adaption of the monthly habit tracker! 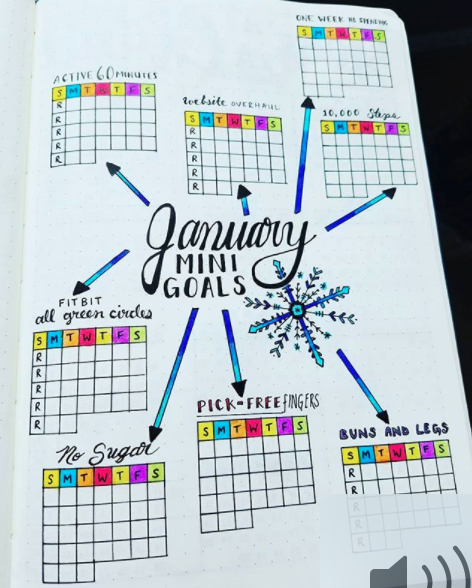 This is one of the most original bullet journal tracker ideas I’ve seen recently, and works really well, as well as looking super-pretty. This works in exactly the same way as the last example, except that each individual goal is separated. This works well to give things some clarity, and you’ll be able to see at a glance which areas might need your attention. This is from my_blue_sky_design on Instagram. 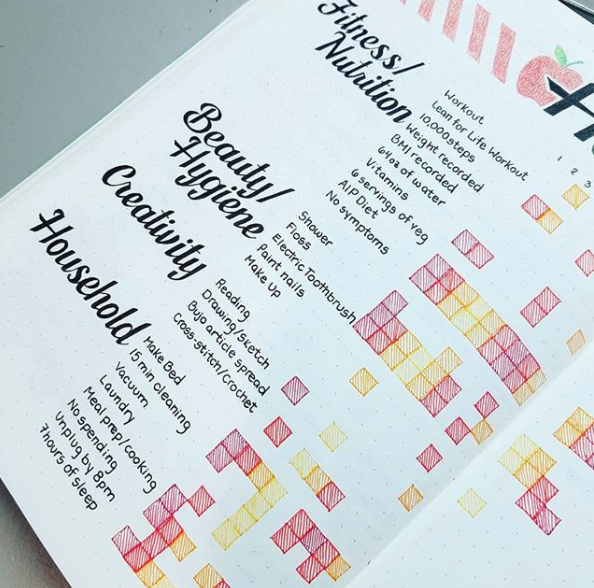 You can also incorporate multiple habit trackers into your weekly spreads, like this lovely example, another one from craftyenginerd on Instagram. 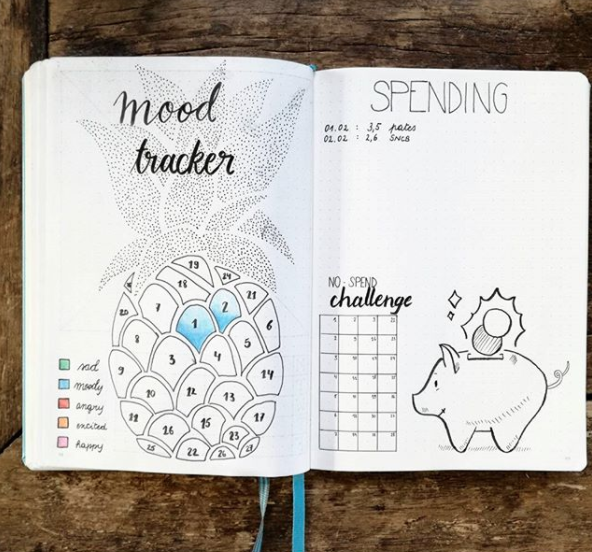 Tracking your mood on a daily basis can be a great idea for everyone, and particularly if you suffer from any kind of mood disorder or anxiety. Being mindful of how you’re feeling on a daily basis can often help you to nip any potential problems in the bud, or alert you to the fact that you might need some help. Alternatively, it can be nice to see that you’ve been having a super-happy period! 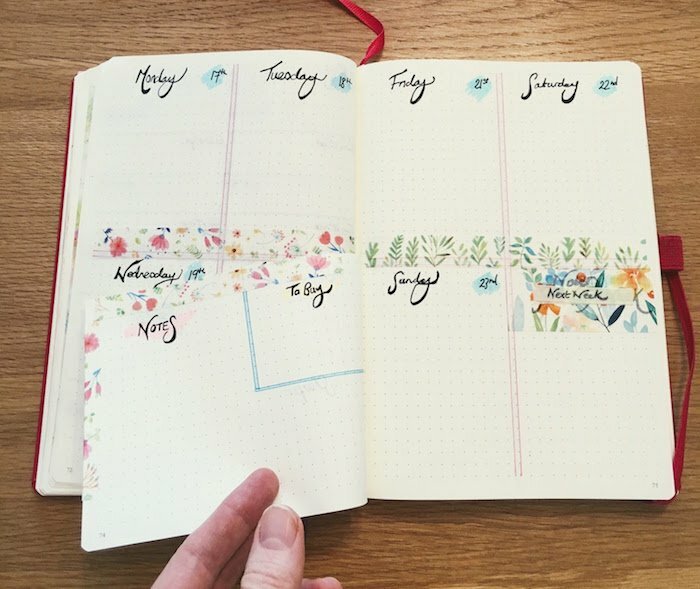 There are lots of different bullet journal tracker ideas for tracking your mood, but here are four of my favorites. 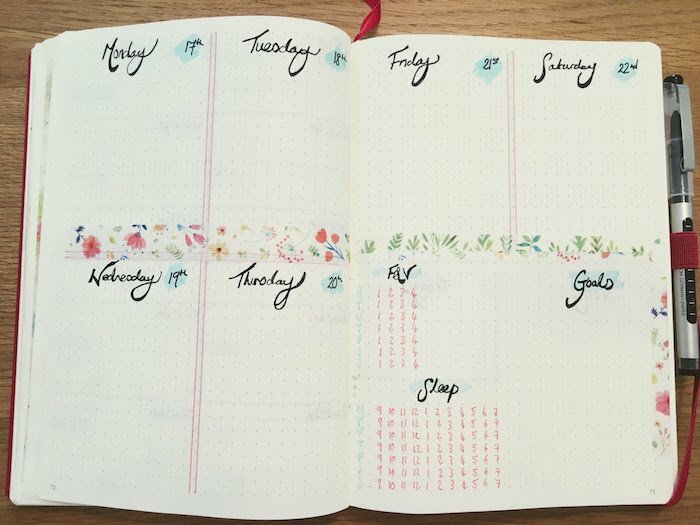 You can see how you can really start to adapt things and get creative when it comes to your trackers! This is one of the most original mood tracker ideas I’ve seen, from creapassionink on Instagram (above). The pineapple art is fantastic! Each color represents a different mood, and each little pineapple segment is numbered with a date. Try using Prismacolor pencils for beautiful soft shading if you want to create something similar (if you’re after some other great ideas for your bullet journal supplies, check out this post). And check out the bonus idea for a spending tracker too! Or how about this idea from sweetkawaiidesign on Instagram (above)? This offers a great way to show how your mood relates to your physical well-being on a daily basis. 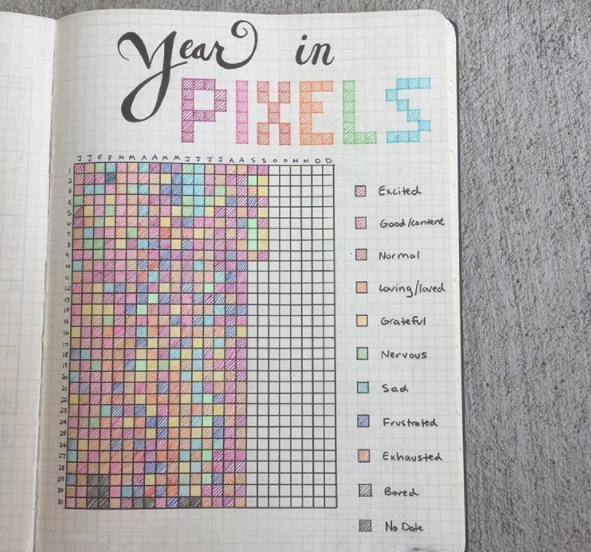 You can even map out a whole year of moods like this ‘Year In Pixels’ spread by fischrjournals on Instagram. 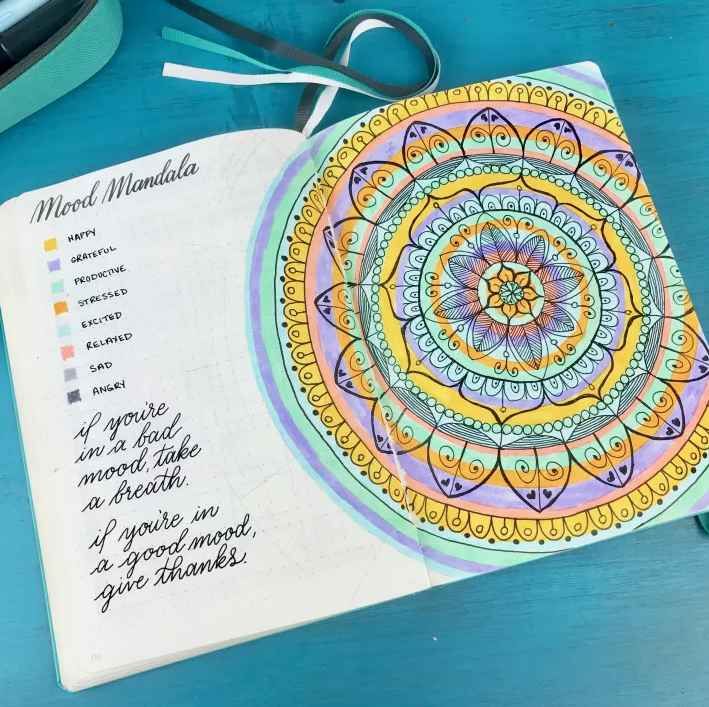 Or try out one of the most popular bullet journal tracker ideas, the mood mandala, like this gorgeous one on bohoberry.com. Everyone knows we need to be drinking more water, and tracking water consumption is always a popular idea. Here’s a nice easy way to do it by bullet.journal.page on Instagram. 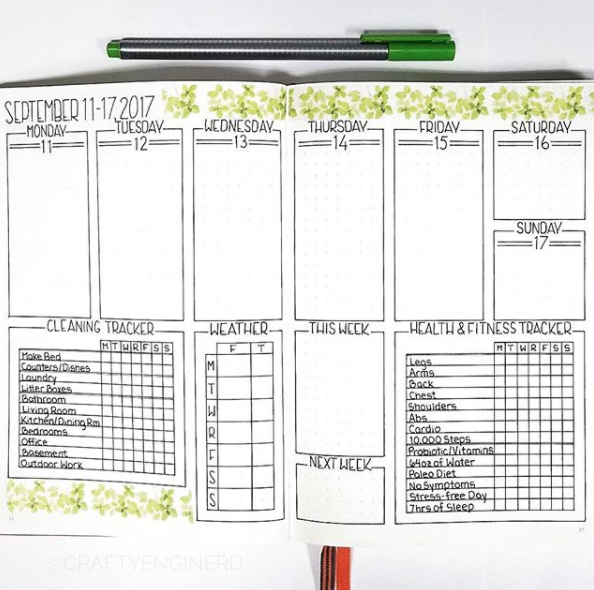 Or incorporate a water tracker into your weekly spread, like this one from sublimereflection.com. Don’t forget the importance of getting your z’s in! 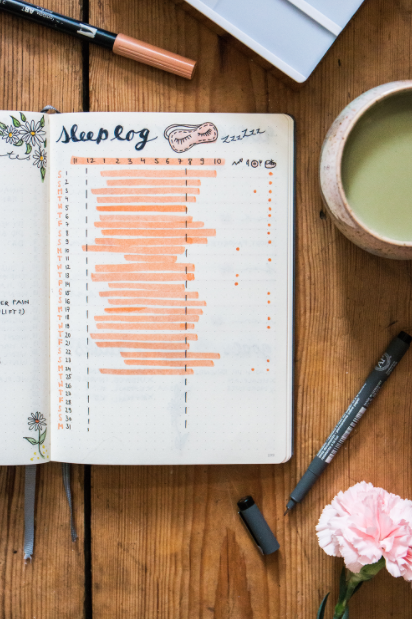 The pretty sleep tracker above is by teaandtwigs.de, or you can incorporate something into your weekly spreads, like my one below which utilises a dutch door to provide more space for the tracker within the weekly spread (and uses some gorgeous washi tape!). 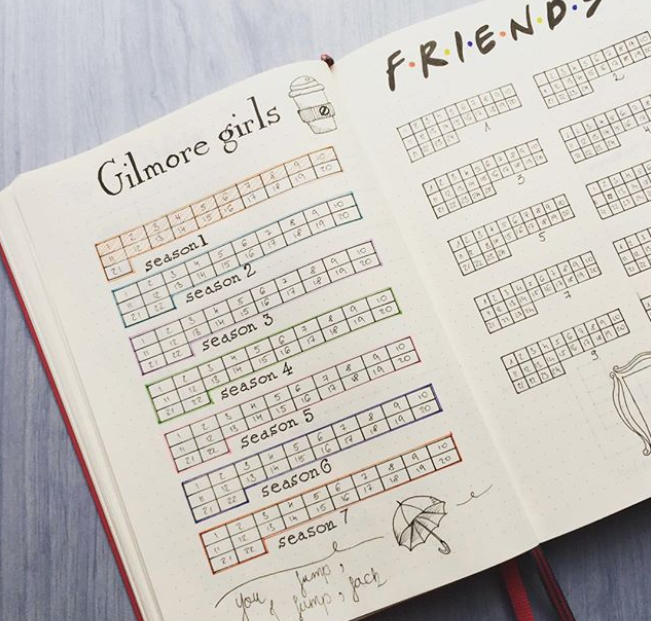 Gorgeous TV series tracker by rozmakesplans on Instagram. Books to read tracker, by skulleyart on Instagram. 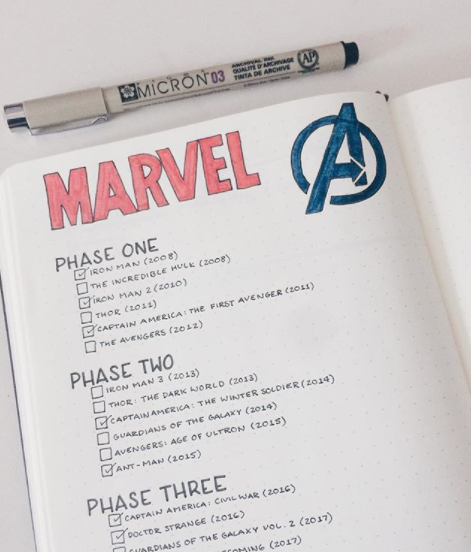 And finally, a Marvel movies tracker by pinyasdesk on Instagram! Good luck with your goals, and happy tracking!! 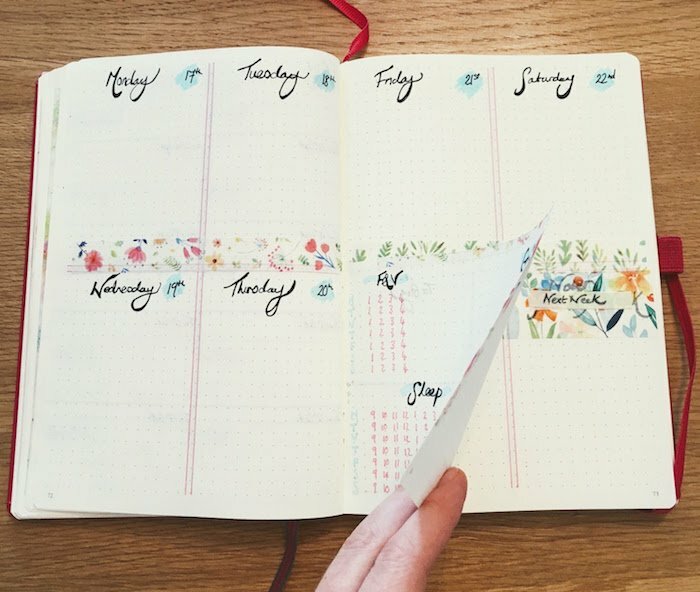 Enjoyed this post on bullet journal tracker ideas? Why not pin it for later! Next Post Bullet Journal Supplies Organization – It’s Spring Cleaning Time!